This website was created to provide general information about the services of Edward M. Pepe, Esq. The materials posted to this site or linked to this site are not intended to create, and do not create, an attorney-client relationship or a representation regarding any potential agreement of services. All persons or entities reading information on this site or linked to this site should not act upon these materials without seeking professional advice or counsel. 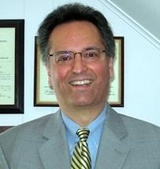 Although this site provides information regarding the services provided by Edward M. Pepe, Esq., the Rhode Island Supreme Court only licenses respective lawyers in the general practice of law, but does not certify any lawyer in the State of Rhode Island as an expert or specialist in any field of legal practice. All content on this website is protected by copyright laws.